Ahoi! 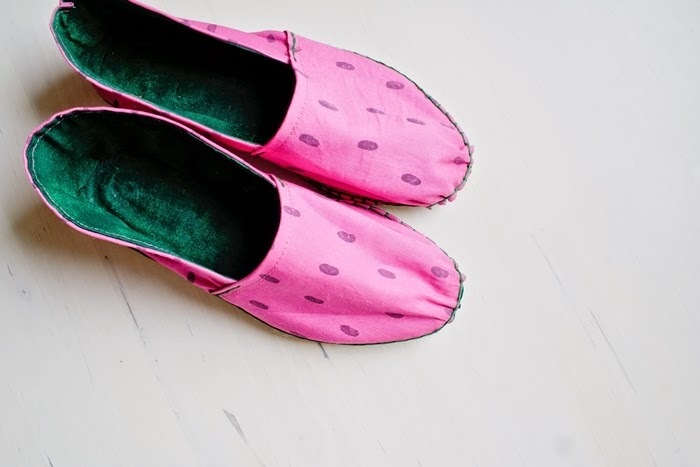 Writing a DIY tutorial for espadrilles seems strangely out of place today, since Berlin has been forced to fluffy cardigans and closed shoes these past few days. We're missing summer very much. But if you're one of those lucky ones, living in a warmer place or planning a trip to a warmer place (like we do! ), this tutorial is for you. Everybody else is welcome to pin for next summer. I used the pattern that came with the espadrilles soles . 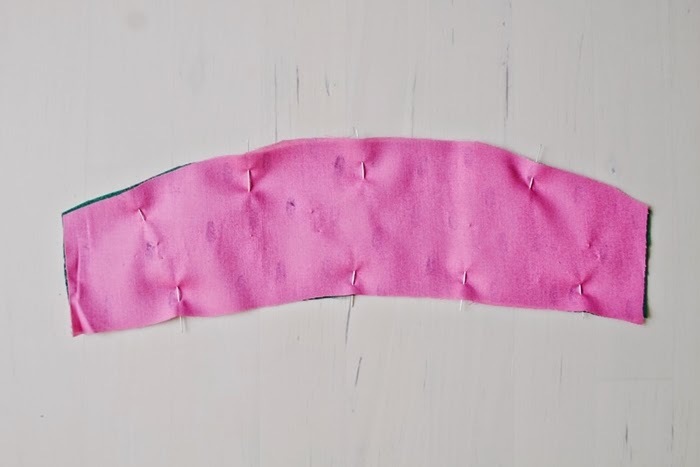 I just had to cut it out and trace onto the fabric with Taylor's chalk. Easiest thing in the world. 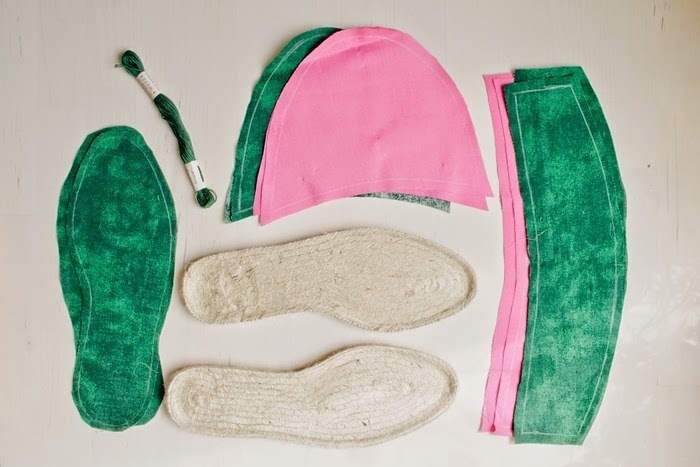 You need two green and two pink pieces for the front and back part each. Then trace the soles on green fabric as well. Cut with a seam allowance of about 1cm. 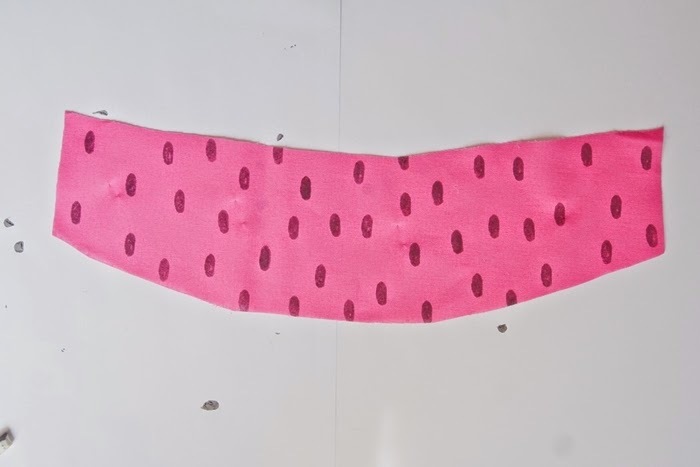 Stamp all the pink pieces with a black melon seed pattern and let dry. Place all the pink pieces on matching green pieces, right sides facing. 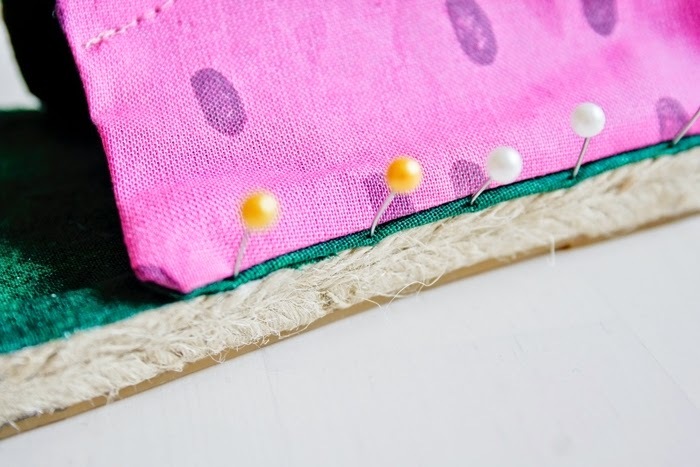 Pin and sew them together. Leave a few centimeters open to turn them right sides out. After turning, stitch up the opening and iron the pieces flat. You can do it in the way I did, with a bit of green showing at the sides that will be connected to the soles, but that's totally optional. 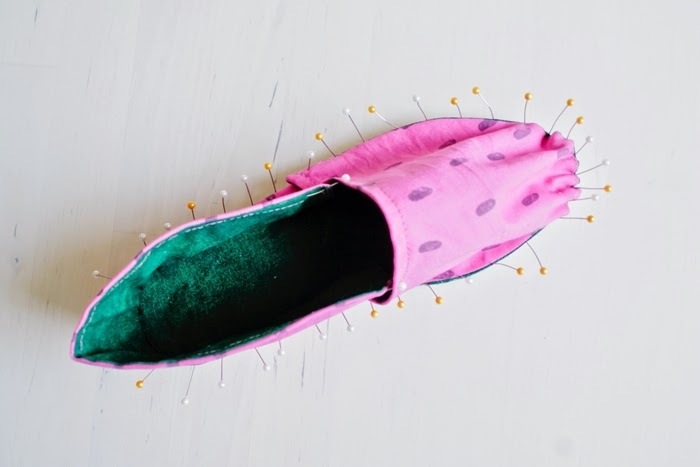 Add a seam along the edges that will be around the shoe opening. Now we're assembling the shoe! First, the soles. I simply glued the fabric on and cut away any excess fabric after it had dried. 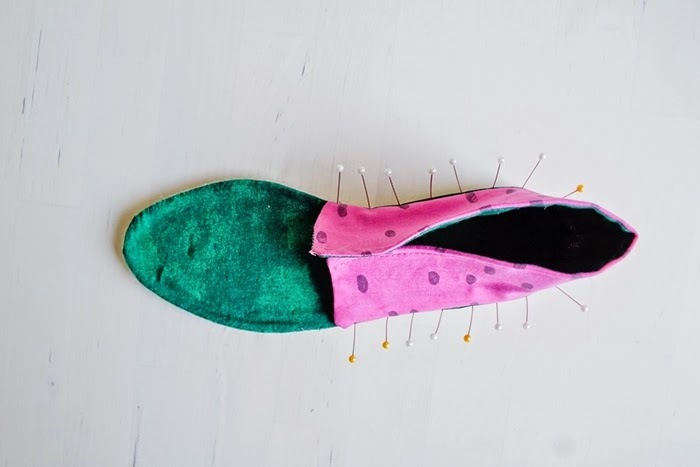 When pinning the back piece around the sole, start with pinning the middle of the fabric to the middle of the heel and then work your way around to both sides. Continue with the front. Here you start with the parts farthest away from the tip of the shoe. The back and the front part should overlap about 2 cm. Work your way from both sides to the tip. You will see that you have to much fabric in the front but that's intended (making room for your toes here). You can see very nicely in the picture above that I used very very cheap pins haha! I really don't know why I still keep them, there's not one straight pin left. The last step is sewing everything together. Sadly I was so consumed with it, I forgot to take pictures but it's really easy. 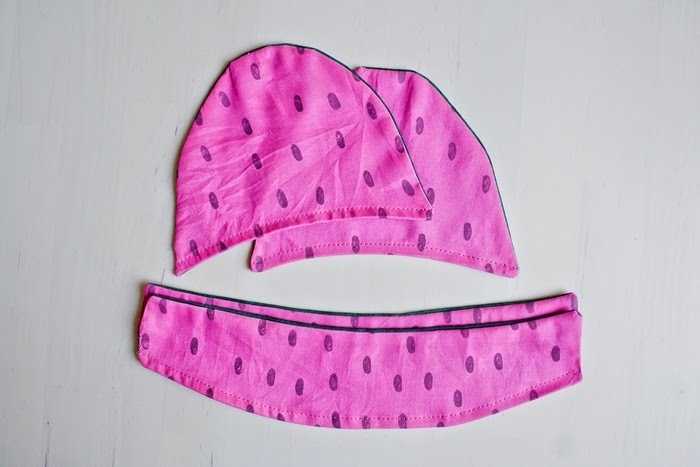 You go around the sole with a blanket stitch and up the sides with a simple back stitch and you're done! 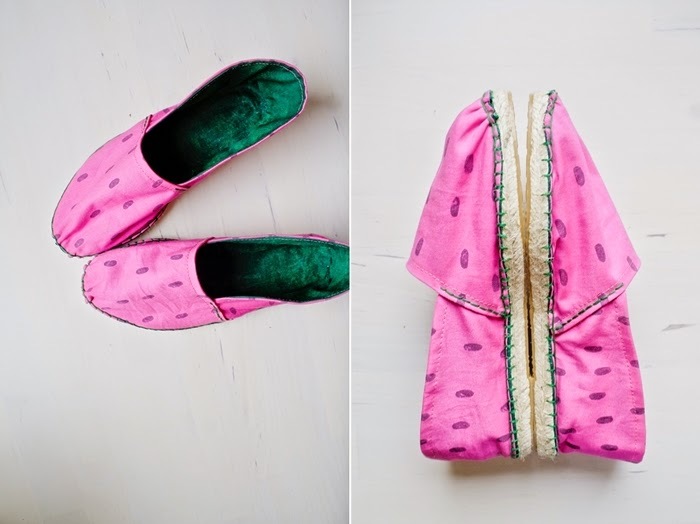 Congratulations, you just made a pair of shoes! Sehr cool! Wenn Du magst, verlinke diesen tollen Artikel auch.